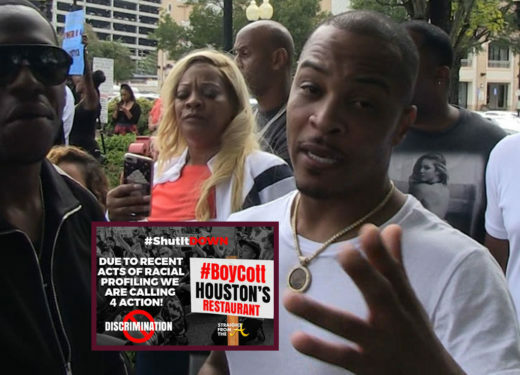 Rapper T.I., Debra Antny, Yandy Smith and More were amongs the crowd during a boycott against local outposts of the national steakhouse chain Houston’s. 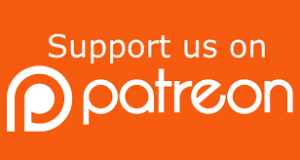 Tip and his fellow protestors claim the restaurants constantly racially profiles it’s patrons and discriminates against African-American diners. The protests started at the Lenox Road location with chants of ‘Shut ’em down!’ and soon moved to Peachtree Road. 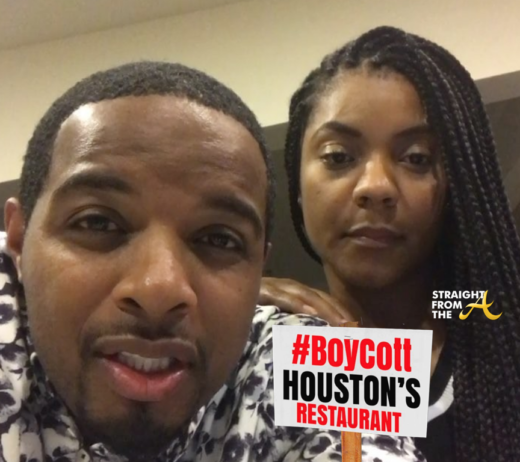 Houston’s Restaurant in Atlanta is being accused of discriminatory practices. Just last week, Deb Antney and Momma Dee of Love & Hip Hop Atlanta hit the net to bring awareness to what they feel were discriminatory practices put in place by Houston’s restaurant on Peachtree Street. Antney and her crew say they were denied service after they arrived with more than 6 guests. When they said they would sit separately, they were told they couldn’t be accommodated at all. 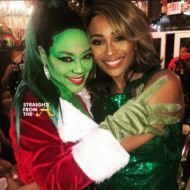 Another day, another Real Housewives of Atlanta ‘BEEF’!!! 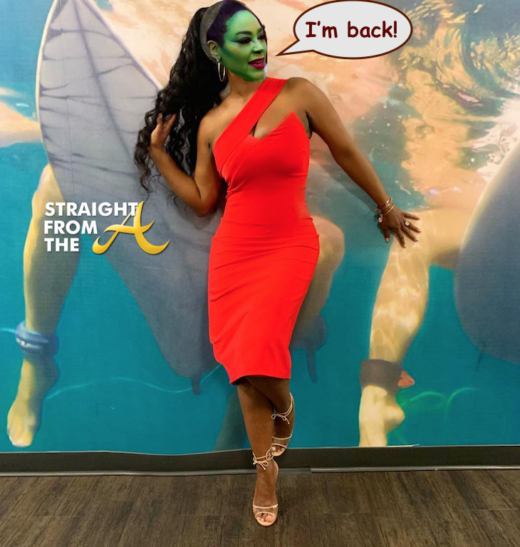 Season 10 of the popular reality show is off and running and the ladies all returned recently from an eventful ‘girl’s trip’ trip to Barcelona that didn’t include Kim Zolciak-Biermann OR Kenya Moore. 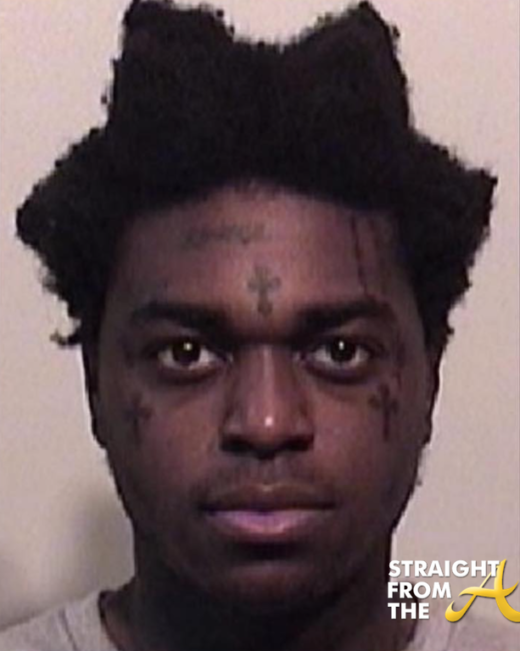 Now that they’re back on Atlanta soil, beef is brewing between O.G. Nene Leakes and this season’s token wig wearing white chick, Kim Zolciak-Biermann. Nene hit the ‘gram last night with a post aimed at Kim and the entire KKK (Kim & Kroy Klique) and if you want to know what sparked it all, you’ve come to the right place! An internal investigation has been launched after disturbing comments made by Cobb County, Georgia police officer. Exclusive dash-cam video obtained by Atlanta’s Channel 2 Action News caught an officer’s interaction with a white female DUI suspect who said she was afraid to move her hands during a traffic stop. 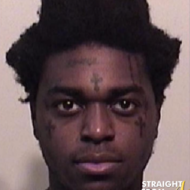 OPEN POST: “Blacks For Trump”?!? Who The Hell Is “Michael The Black Man”?? Apparently Donald Trump has at least one black supporter and he’s been spotted at a number of political rallies over the past year waving a “Blacks for Trump” sign. 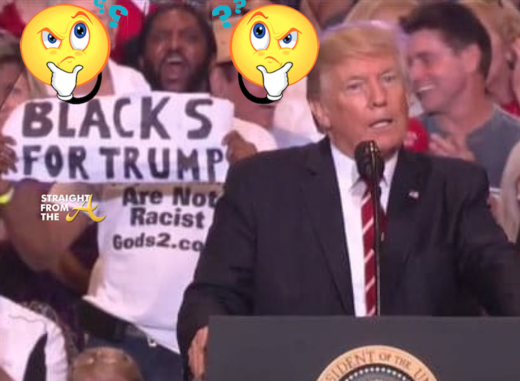 “Michael the Black Man” is often strategically posted up in the crowd directly behind Donald Trump, so it’s impossible to miss him and his questionable enthusiasm. 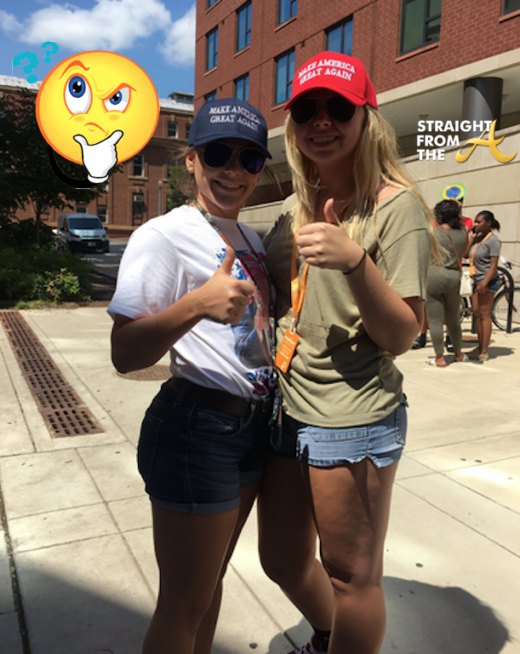 The photo above was circulating on twitter this past weekend after a group of Trump Supporters casually strolled through the grounds of Howard University wearing ‘Make America Great Again’ hats.